Fresh off the announcement of the forthcoming boxset David Bowie: A New Career In A New Town, a 40th anniversary limited edition "Heroes" picture disc is now set for release. 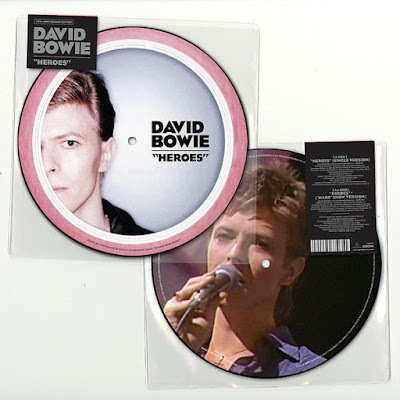 The "Heroes" picture disc includes a newly remastered (2017) single version of the beloved song backed by a previously unreleased live version -- Bowie's live debut of "Heroes" -- which he recorded September 7th, 1977 for Marc Bolan's television show (episode aired September 20th, 1977). The 7" will be released September 22nd. Check out the listing here.